I didn’t recall his rotator cuff injury, either. This inspired me to read a little more about Larry (thanks Wikipedia!) and uncovered the following tidbit: As hitting instructor for the 1993 Blue Jays, his batters (Olerud, Molitor, and Alomar) finished 1-2-3 in AL batting race. Not bad for the hitting instructor’s resume. 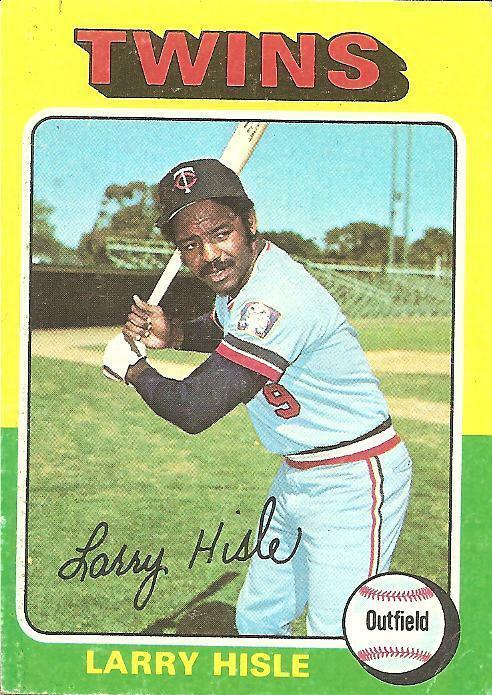 As a kid I played Little League and High School baseball with Sal Bando, Jr. and Sean Hegan (Mike Hegan’s oldest son) but my brother played with Larry Hisle, Jr. I can say that Larry Hisle, Sr. is one of the nicest guys ever. Even with his rotator cuff injury, he watched all of his kid’s games (since he was on the D.L., obviously) and patiently signed every ball, bat, glove, card, piece of paper that anyone brought him with perfect penmanship. I, personally, must have gotten his autograph 50 times. I always thought it was too bad that his career was derailed by the shoulder injuries but part of his greatness was that he never let it affect him or his family. Great man.